An individual is guilty of making a terrorist threat if he or she threatens to commit any crime of violence with the purpose to terrorize another or in reckless disregard of the risk of causing such terror - or - if he or she threatens to commit a crime of violence with the purpose to cause evacuation of a building, place of assembly or facility of public transportation or otherwise to cause serious public inconvenience or in reckless disregard of the risk of causing such evacuation or inconvenience. It is not necessary that the victim was terrorized (or that there was actually an evacuation of a building, place of assembly or facility of public transportation). Under the Criminal Code, it is an offence to knowingly utter or convey a threat to cause death or bodily harm to any person. It is also an offence to threaten to burn, destroy or damage property or threaten to kill, poison or injure an animal or bird that belongs to a person. 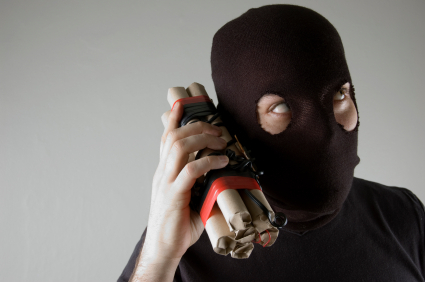 Despite its name, the crime of terrorist threats or criminal threats does not necessarily implicate terrorist organizations for their inflammatory speech or their attempts at political blackmail. Instead, the offense has more to do with situations involving domestic violence, hate crimes, bomb threats, and school violence. The question presented as to when is a threat actually a violation of the criminal law presents a tension between an individual’s free-speech rights and the government's duty to protect its citizens. If you have questions about you or a family member, contact The Sheena Law Firm today, to discuss your case.